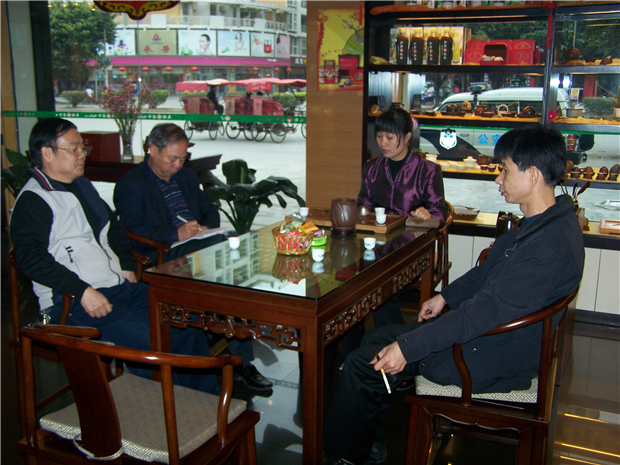 About: Chaoshan Kung Fu Tea enjoys a long history and is quite “Chaoshanese”. 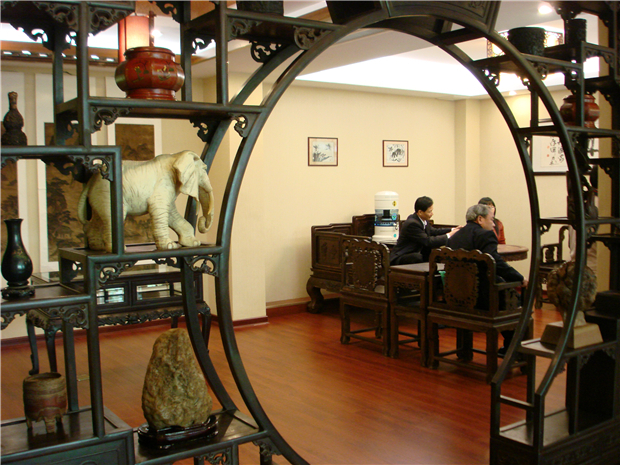 The essence of Chaoshan Kung Fu Tea lies in the savoring of tea and there is a “Tea Bible” for tea sets, tea leaves, the use of water, the way of making tea, as well as how to taste tea. 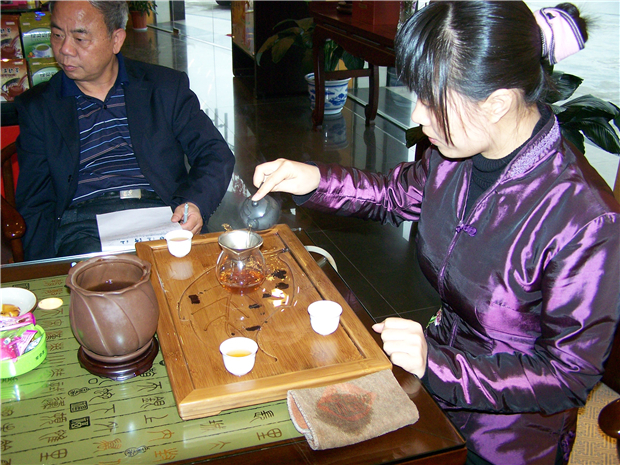 Among different kinds of teas, oolong is one of Chaoshan people’s favorites. 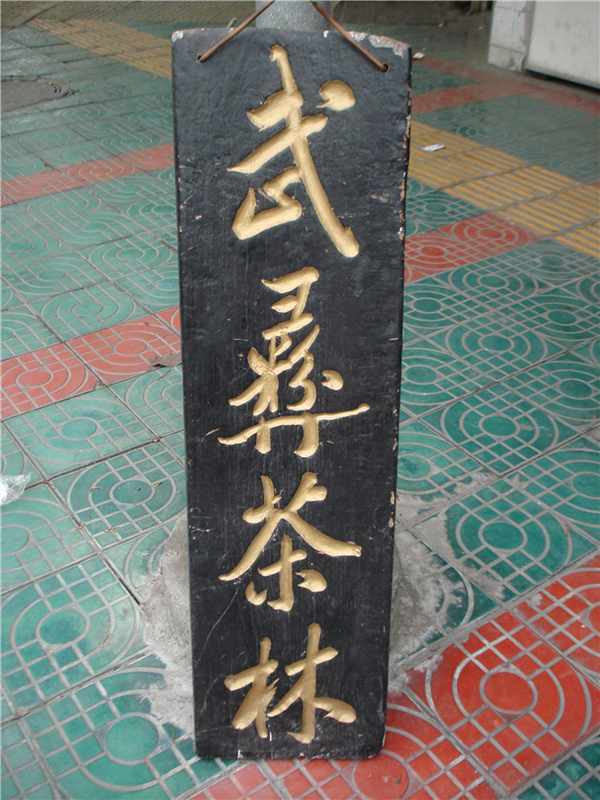 As for water, spring water is the best, then comes river water, and finally well water. 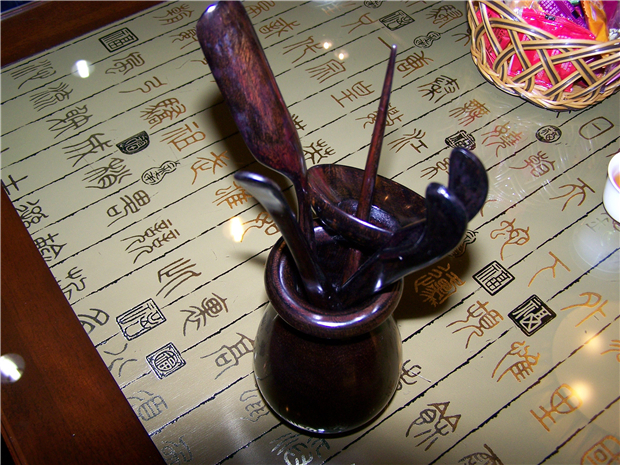 For charcoals, Chaoshan people like a kind of charcoal called “Jiao Zhi Tiao Charcoal” which is smoke free when burns and smells good. 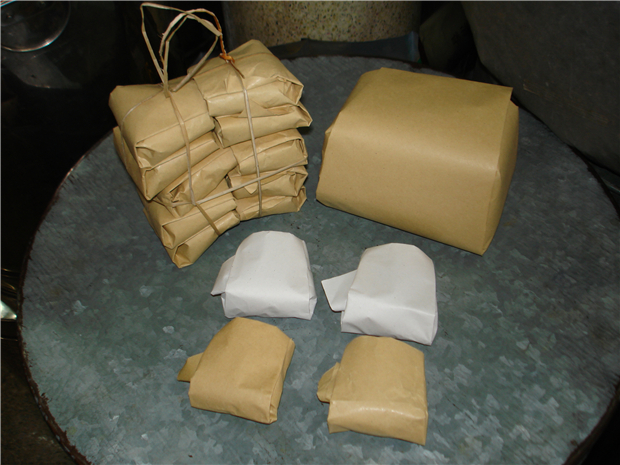 When it is used to boil water, the fire is well-distributed. 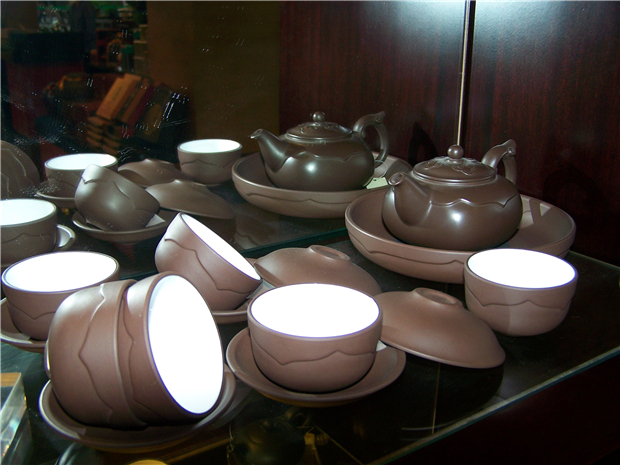 A tea set includes 12 pieces such as the tea pot, tea cups, the tea pitcher, a tea washing bowl, and tea saucers. 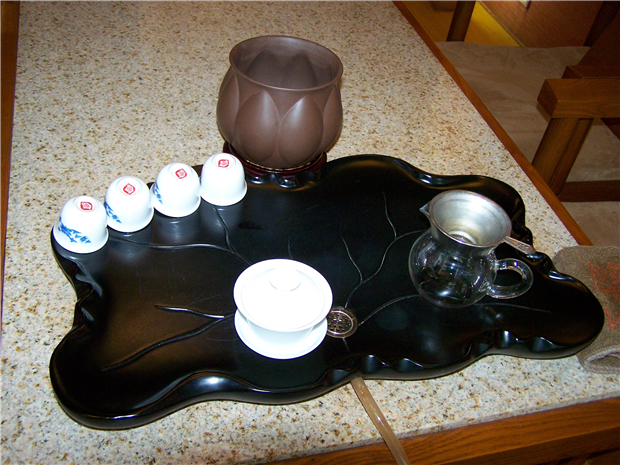 Before making tea, you need to use boiled water to wash the tea pot and tea cups which is called “hot the pot and the cups”. 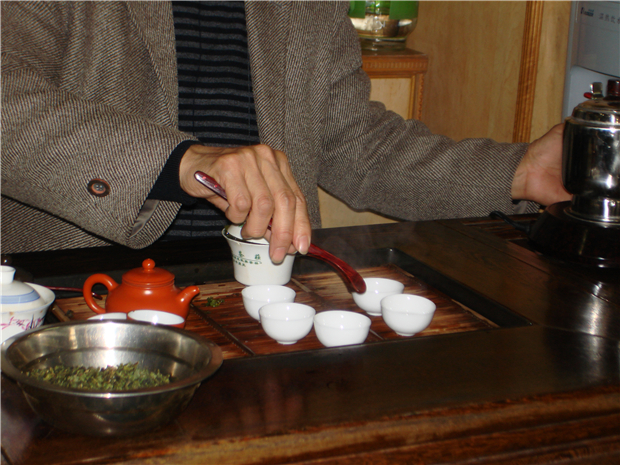 When putting the tea leaves into the teapot, Chaoshan people are used to putting the small ones at the bottom and the bigger one at the top. 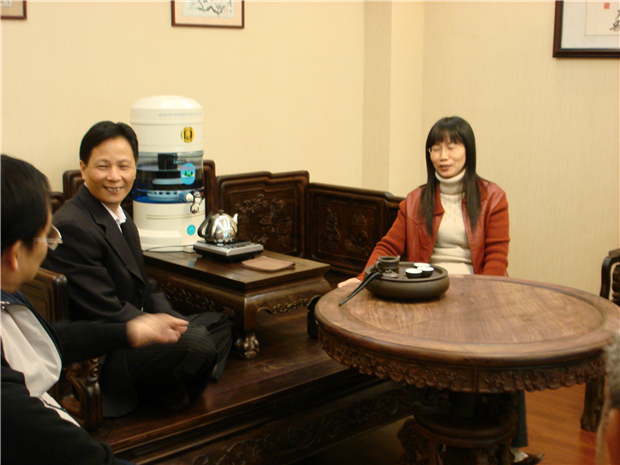 Professor Chen Dongda, a Chinese Japanese once wrote in a book on tea that “Japanese way of brewing tea derived from Chaoshan Kung Fu Tea”.